This beautiful piece of art will be the main attraction of any room. 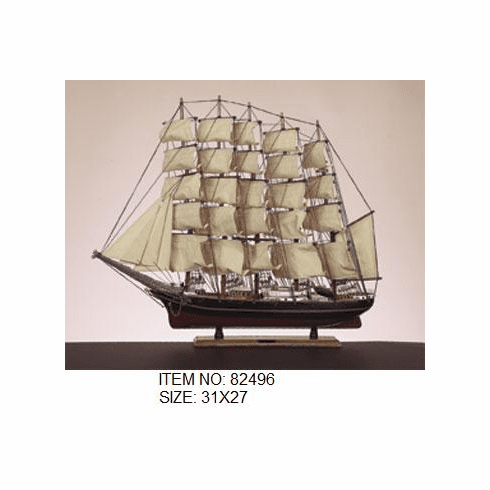 The ship is made with handcrafted wood and wrought iron metal. The sails are all meticulously set on to make the artwork magnificent and perfect. You will not be disappointed with this wonderful ornament.